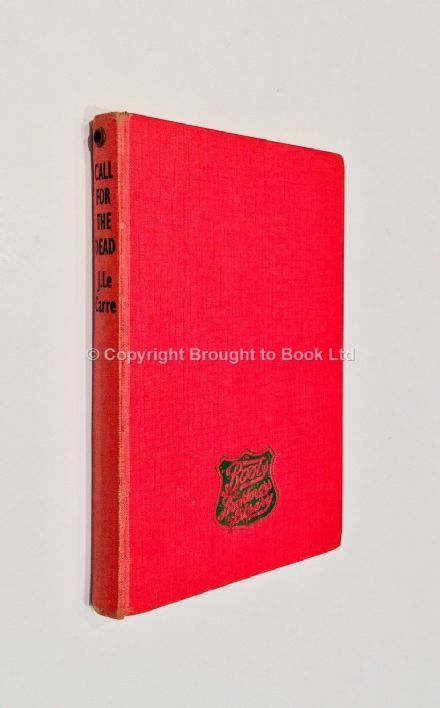 Call For the Dead Signed by John le Carré First Edition Victor Gollancz 1961. No inscriptions, no foxing or browning. Page block square and tight. Covers unmarked and fine with gold gilt lettering still very much bright. In original fine dust jacket. The jacket has very light and imperceptible strengthening/restoration internally to archival tape marks on the inside edges (a result of which actually kept the dust jacket remarkably bright and well preserved). Not price clipped. SIGNED by John le Carré directly to title page.